Looking for a gift idea for Valentine’s Day? 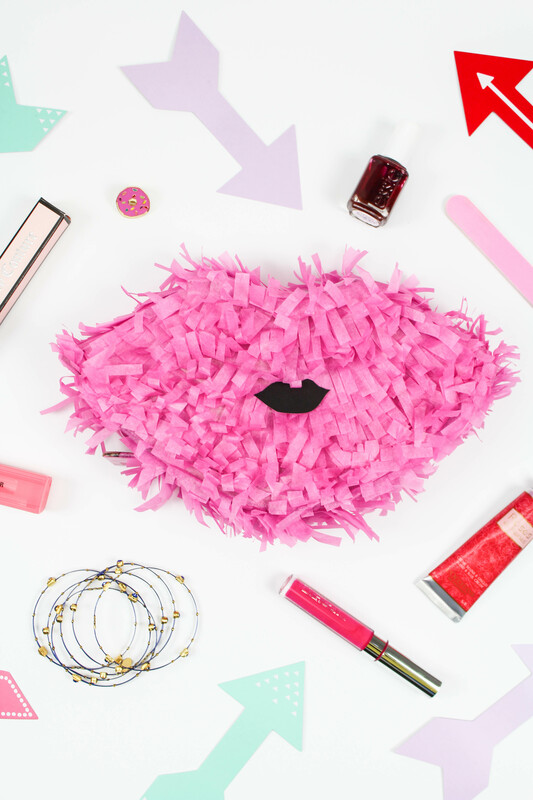 These DIY Valentine lip pinatas are fun, festive, and the perfect thing to fill with your bestie’s favorites! I’m a big gifter. Whether a simple card in the mail, a care package tailored to a specific recipient, or something homemade, gift giving is a way that I like to show the people in my life that I’m thinking about them and that they mean a lot to me. It’s one of my favorite things to do and I’m always on the hunt for fun ideas to package up little things. 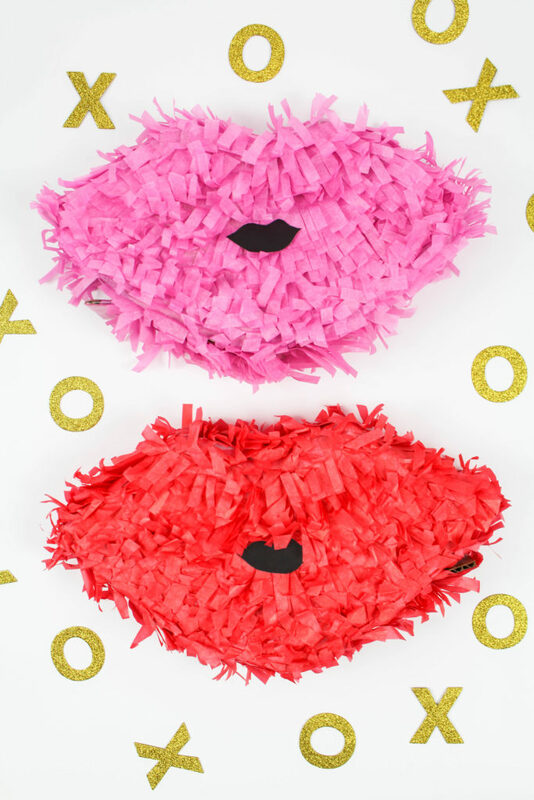 These Valentine Lip Pinatas will do just the trick for V-day this year. A little unconventional, but oh, so fun and festive! With Valentine’s Day right around the corner, I was itching for something to give to my girlfriends this year. It is my first Gal-entine’s day after all! 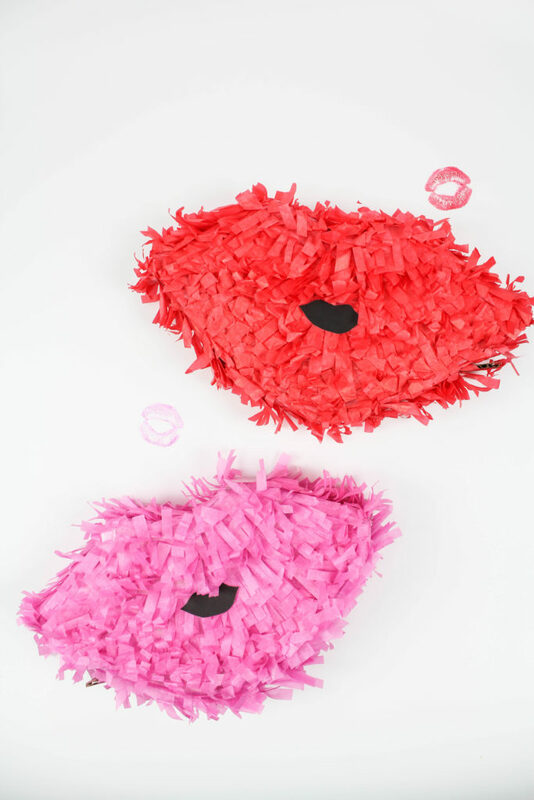 I decided to make some Valentine Lip Pinatas to use as a “bag” and pack them full of little things that I knew each of the girls in my life would love. A piñata is used to store candy, so why not take it up a notch and pack them full of great stuff that any of us would want? And, honestly, who doesn’t love a piñata?! Especially when they are this cute! Pucker up!